Take a ride through 26 fully-illustrated alphabets, each one an A to Z of things to spot. 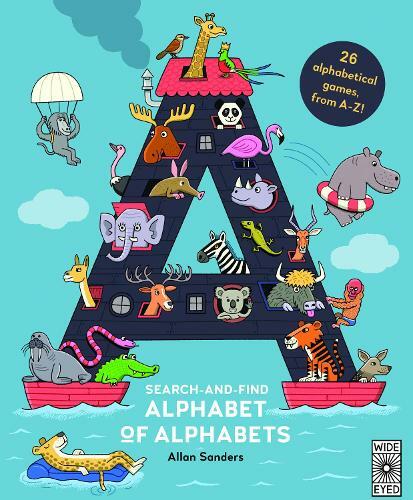 From an A to Z of Birds (A is for Albatross, B is for Bluebird), to an A to Z of Zoo (A is for Aardvark, B is for Baboon), this is an alphabet of alphabets. Jam-packed full of funny things to spot and plenty of Where's Wally-style humour, this the best way to learn your ABCs and lots of new words as well!